Luna Rossa, Prada’s sporty masculine fragrance, takes its name from the brand’s famous sailing boat and it is unsurprisingly, a fresh marine fragrance with a lovely twist of mint. Like all things Prada, Luna Rossa is of exceptional quality and it smells a cut above its contemporaries, making for a luxurious sport fragrance. The collection now consists of a range of Luna Rossa scents, each of which boasts a different interpretation of the brand’s competitive boating spirit, but also remains faithful to the adventurous spirit of Luna Rossa. 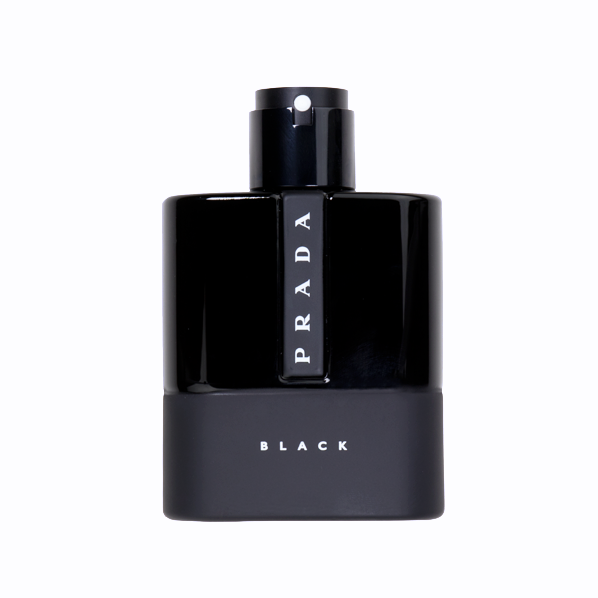 The latest addition to the Luna Rossa collection is Luna Rossa Black and it’s a scent that Prada is calling “seductive”. So in my head, Luna Rossa Black is not the competitive sailing boat of the original, instead it’s a sleek yacht, upon which a rich billionaire throws many a party. He’s the type of guy to own a Prada turtleneck in every colour, oh and suede Prada loafers in a veritable rainbow of shades too. He’s suave, sophisticated and elegant, with a warm and inviting smile. He sounds pretty great actually. Did I mention that he owns a boat? Anyway, back to Luna Rossa Black – this is the richer, more gourmand take on Luna Rossa and it brings something rather new and intriguing to the table. The opening is a clash of citrus and spice, specifically bergamot and angelica. Before you tell me off for saying that angelica is a spice, I am well aware that it is a flower however, it does have a fresh, peppery vibe to it that feels spicy. Good, I’m glad we cleared that up! Anyway, these two materials come together, perhaps with some other fruity and spicy things too, to create a dynamically fresh opening that masks the hidden warmth and sweetness underneath. What follows is surprisingly oriental, gourmand and dare I say, rather decadent. Sitting below that spicy fresh opening is a warm amber accord that places a heavy emphasis on coumarin. Now, coumarin is a compound found within tonka bean that has a very distinct odour – firstly, it shares a lot of its odour profile with vanilla, boasting the same spicy sweetness, but it also has the character of hay and almond. In Luna Rossa Black, the coumarin adds a warm, marzipan facet that makes one think of gorgeous, fluffy materials in auburn colours. But that sweetness needs be tempered by darkness and in Luna Rossa Black, the ‘black’ aspect comes from patchouli, which brings a sharper edge to the proceedings, allowing for shadow. Musk elevates the composition, making it smooth and spacious, whilst ambergris intensifies the luxury with a soft, mineral facet. 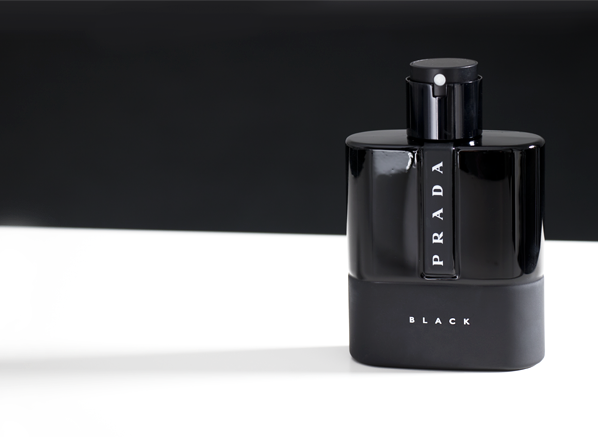 It all comes together in the end as a warm, contrasting fragrance that has the depth and darkness befitting of its name. Compared to all of the Luna Rossa editions, Luna Rossa Black steps the furthest away from the original in terms of its olfactory signature. This is not a fresh sport scent, nor is it in any way evocative of high-speed vessels crashing across the ocean. Luna Rossa Black is instead a warm and sensual masculine fragrance with the signature softness that is inherently ‘Prada’. I’d say that it works very well as a warm, cashmere-like oriental with a fresh, spicy twist and would be perfect for any handsome gent who wants to wrap themselves in the scented equivalent of a fine Prada fabric. • Which Roger & Gallet Fragrance Is For Me? This entry was posted on Wednesday, May 9th, 2018 at 9:21 am and is filed under Candy Perfume Boy, Fragrance, Men, New products, Spotlight On, Tried & Tested. You can follow any responses to this entry through the RSS 2.0 feed. You can skip to the end and leave a response. Pinging is currently not allowed.